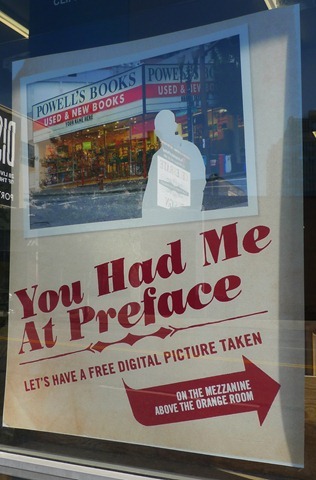 So I thought Powell’s Books offer to create a digital photo of visitors in front of the landmark book retailer, with their own name on the marquee, is a brilliant way to make visitors feel like the own the brand. For those not from Portland, Powell’s “City of Books” is one of the largest independent book retailers in the world with over 1 million titles, and is arguably Portland, Oregon’s #1 tourist destination. For this retail campaign. 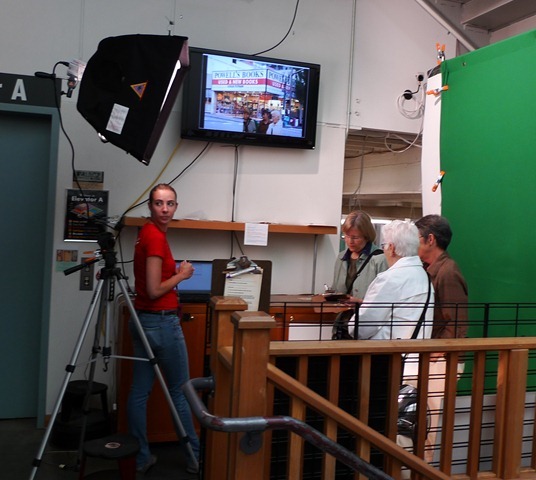 Powell’s set up a photo-booth inside the store, with a lighting kit, green screen, and friendly photographer. They collect some information, shoot your photo, and e-mail you the final composition in near real time. Taking the iconic photo outside the store would force tourists to stand in the middle of a busy intersection. So Powell’s gives you good lighting, the custom marquee, and a 20% off coupon, all from the safety of their store. In the process, they capture your e-mail address and put you on their electronic mailing list. Everything about the program is well executed. They developed a series of humorous posters that are used as window displays to advertise the service to passers by. With the explosion of social media, giving consumers photos that they can use is an inexpensive, but highly effective marketing tool (social albums, profile pics, mobile phone wallpaper, etc…). It’s the modern equivalent of the bumper-sticker. Powell’s has done it very well. You can see a photo gallery of the campaign here. What can you do in your store to change “the Store” to “My Store” in the minds of your shoppers? humerous?? How about humorous instead? Fixed. Thanks… If I had to make a living as an editor, I’d starve! This feels like a natural extension of who they and their customers are. Can’t imagine B&N or Boarders getting away with this.